Fingerstyle guitar masters Steve Baughman and Robin Bullock, winners of three Editor’s Pick Awards from Acoustic Guitar Magazine for their duo debut Celtic Guitar Summit, return for a journey through Celtic, Appalachian and European traditions interpreted on acoustic guitars, cittern and banjo, both alone and together. 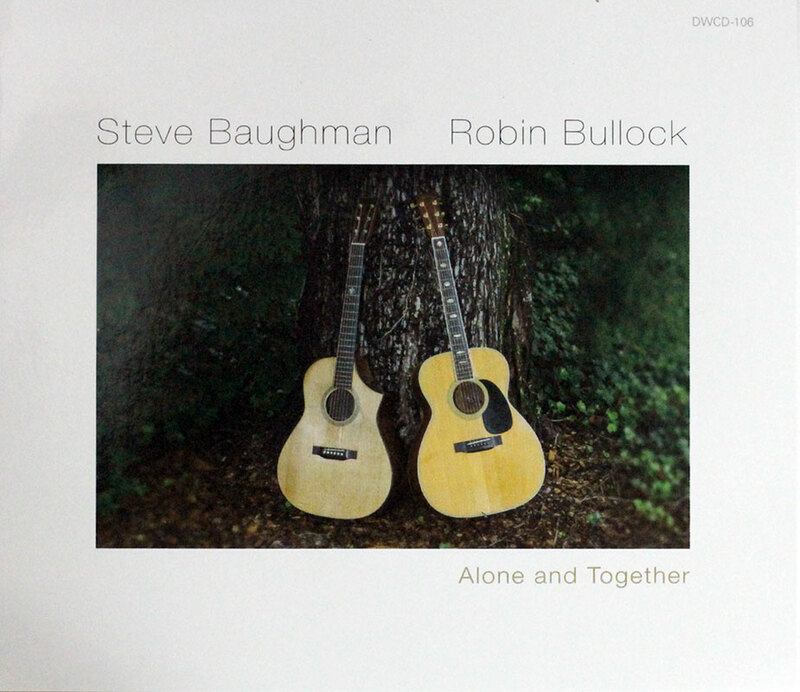 Fourteen years have sailed by since Steve and I first met at the Swannanoa Gathering and played a few tunes together (under the tree pictured on the cover of this CD), and twelve years since we made our first duo recording, the perhaps-somewhat-immodestly-titled Celtic Guitar Summit. In the intervening years, we’ve toured together in Canada, Italy and both coasts of the U.S., made cameo appearances on each other’s solo CDs (my Rosewood Castle and his Life in Prism), and seen each other through some major life changes, and through it all the friendship and the music have remained constant. Now our paths have finally crossed again long enough for a second recording project, and this time we wanted to both celebrate the joy of playing together and honor the fact that so much of our musical lives is spent playing alone, exploring the endless possibilities of solo guitar. To that end, we’ve each contributed three solo pieces and joined forces for the rest of the album, sequencing the tracks into a conversation alternating duets and each other’s solos. It was a rare delight sharing the music, as it always has been, and as we hope it’ll continue to be for many years to come. Enjoy.